Git comes with a very power history viewing command – git log, which supports a number of command line parameters. For example, I once had a manager who required weekly reports submitted each Friday. So every Friday I would just run: git log --author="Alex Kras" --after="1 week ago" --oneline, edit it a little and send it in to the manager for review. Git has a lot more command line parameters that are handy. 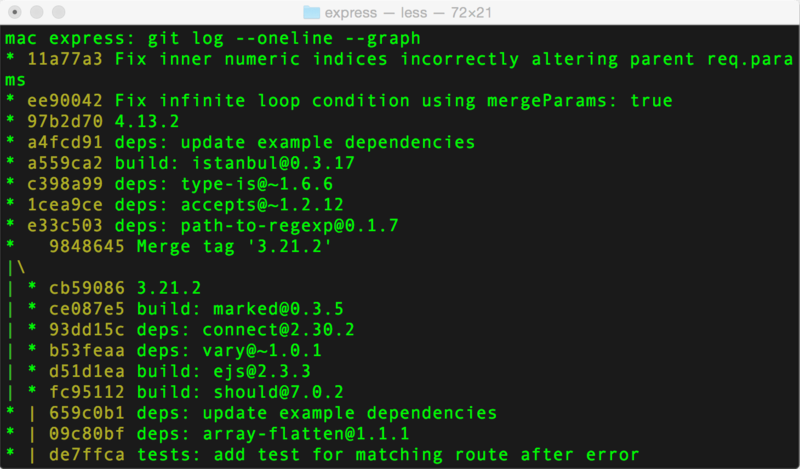 Just run man git-log from your terminal and see what it can do for you. If everything else fails, git has a --pretty parameter that let’s you create a highly customizable output. i.e git log --pretty="%t - %an - %s" --graph which will output abbreviated commit, author name, and first line of the commit message.